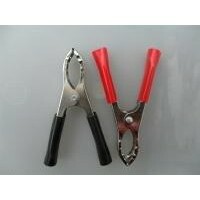 1 pair Alligator Clamps Semi Insulated 20 Amps Length: 75 mm Jaw Width: 20+mm..
1 pair 10 amp alligator clamps Fully insulated to prevent shorting out. 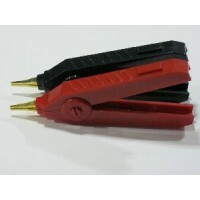 Very good quality ..
1 Pair Fine Circuitry Jaw Alligator Clamps 70 Amps Length: 95mm.. 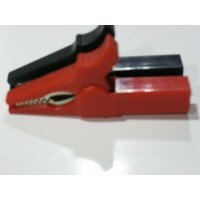 This listing is for 10 pairs of 30 Amp Alligator Clamps Length: 75mm Jaw width: 20mm.. 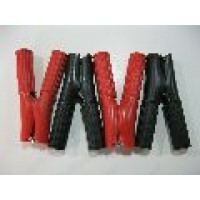 This listing is for 2 pairs of 20 Amp fully insulated alligator clamps Length: 75mm Jaw Widt..
4 Pairs 20 Amp Length: 75mm Jaw width: 20mm..